In this second volume of the Urban Master series you’ll learn so many tricks, tips and techniques for Urban Survival that you’ll wonder why you’re still alive! You’ll learn about: hotel safety, anti theft tricks, fire safety and gear and hazard identification. We’ll discuss privacy issues including spy cams, spy cam detectors and field expedient camera detection. Learn about flu and pandemic precautions, how to hide your personal survival gear, the ScottEVest hidden carrier systems. You’ll learn how to blend into any population. See safety tips for women and kids, MRE tips and tricks with the MRE heater. 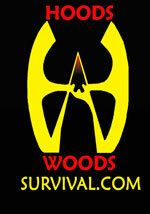 Learn about Bug Out Bags, their contents and the philosophy behind them as well as some firearms for personal defense. While the focus of this video is travel needs, every bit of the information in here applies to any urban environment whether your home, apartment or office. This Info is critical!